The Nuggets claimed Game 2 114-105 against the Spurs to level the series at 1-1 behind a huge night from Jamal Murray. San Antonio led by double digits at half-time and the Nuggets were staring down the barrel when that lead ballooned to 19. 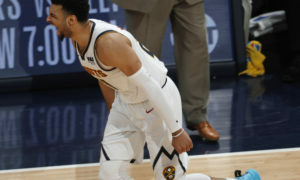 But they came back and outscored the Spurs 39-23 in the fourth quarter to level the series. Nikola Jokic had a strong game for Denver with 21 points, 8 assists, and 13 rebounds. 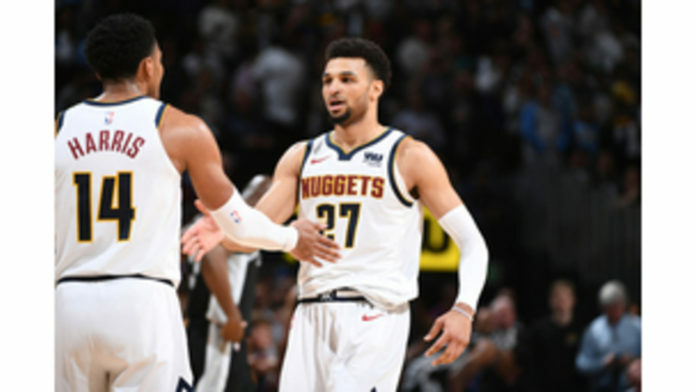 Paul Millsap, Murray, and Gary Harris also scored 20 or more for the Nuggets. Incredibly, Murray scored 21 points in the last quarter alone to turn the game for his side. DeMar DeRozan scored 31 for San Antonio, and LaMarcus Aldridge added 24. Game 3 is in San Antonio on Friday. Meanwhile, Portland took a 2-0 lead when they defeated the Thunder 114-94 in Game 2. C. J. McCollum and Damian Lillard starred, as the two guards combined for 62 points. Mo Harkless added 14 for the Blazers. Paul George scored 27 for OKC, but he did not receive much help from elsewhere. The third quarter decided the game, as Portland outscored the Thunder 37-21. Now the Thunder have pressure on them as the series heads back to Oklahoma. Game 3 is scheduled for Saturday.